Believe it or not, excellent Oral Health and Hygiene is the key missing component to Immune System Health. Every year colds and flu comes around and YOU end up getting it. Why IS that when there is always that one guy in the office who NEVER gets sick. Well, there is no test to measure immune system strength directly, you CAN measure it INDIRECTLY- by using your Oral Health and Hygiene as a barometer of your Immune System Health. So, am I saying that if your dental health is poor then you are more likely to get sick or have other, more serious diseases? immune system is already great and you can worry less about getting colds, flu, heart disease and stroke... among other problems that poor oral health and hygiene contribute to. But for the vast majority of you, if your dental health doesn’t meet ALL of the above criteria, then you are probably not fighting off illnesses as well as you could. If your teeth are crooked, off color or you have cavities; if your gums are inflamed, reddened, receding or bleed easily- then you have a SERIOUS problem! You may be more susceptible, possibly MUCH more susceptible, to serious disease than those who don’t have tooth or gum issues. Don’t believe me? That’s normal. We are taught that cavities are normal. But this is only because everyone has cavities. If we lived in a world where everyone limped, then we would also think that limping is normal. But cavities and periodontal disease are not normal! They are NOT healthy and they are NOT inevitable. They are signs of poor general health that leave you at increased risk for heart disease, stroke, diabetes, pneumonia,colds and flu and maybe even the aches, pains and fatigue that go along with chronic health problems! In addition, something that almost NO ONE IS TALKING ABOUT is how Dental Nitrous Oxide can absolutely ruin your health. 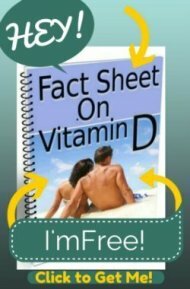 By decreasing your Vitamin B12 Levels, you can have permanent and disabling Mental Changes from B12 Deficiency as well as increased of heart disease and stroke simply from the usage of this dental anesthetic that doctors consider so safe, that they don't even mention these side effects to you. There are hundreds, if not thousands, of studies showing the relationship between poor oral health and hygiene and illness. Just because conventional medicine doesn’t talk about health prevention through dental health doesn’t mean that it is not a serious issue. To many, this is ‘common sense’, but unfortunately, common sense has been overridden to achieve the belief that cavities and periodontal disease are ‘Normal’ when they are not. In fact, he found that for every ONE cavity present in a ‘primitive’ village, a modern village or town had 6 to 10 cavities! What would YOU do to ensure that your child had ONE-TENTH the cavities of other children?! Another interesting observation that Dr. Price made was regarding other diseases. While tuberculosis, arthritis, disability and infertility were beginning to be serious problems throughout the world at that time, Dr. Price observed that ‘primitive’ people without cavities had an almost ZERO incidence of any of these diseases- that is until they started eating a 'modern' diet with sugar and processed foods. Even after reading Dr. Price’s work, you could certainly make the argument that this doesn’t ‘Prove’ that excellent general health can be achieved excellent dental health, but there is a LARGE amount of circumstantial evidence to support the theory that having perfect dental health COULD, at the very least, reduce your chance of getting other chronic illnesses. 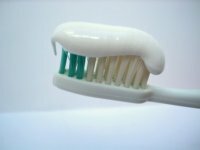 If you have any chronic health issues, it's time to TAKE REAL ACTIONS for perfect Oral Health and Hygiene that will go a long way to keeping you safe and healthy from heart disease, diabetes, tuberculosis, stroke, high cholesterol and - maybe even protection from other chronic health problems. Get “Money by the Mouthful” today.